The recipe that you’ll see at the end of the post is based on a recipe from Cooks.com and uses a combination of vinegar, salt and sugar but I’ve added some other bits and pieces along the way to make the flavor my own and you should do the same. You don’t like it too salty? Use less salt. 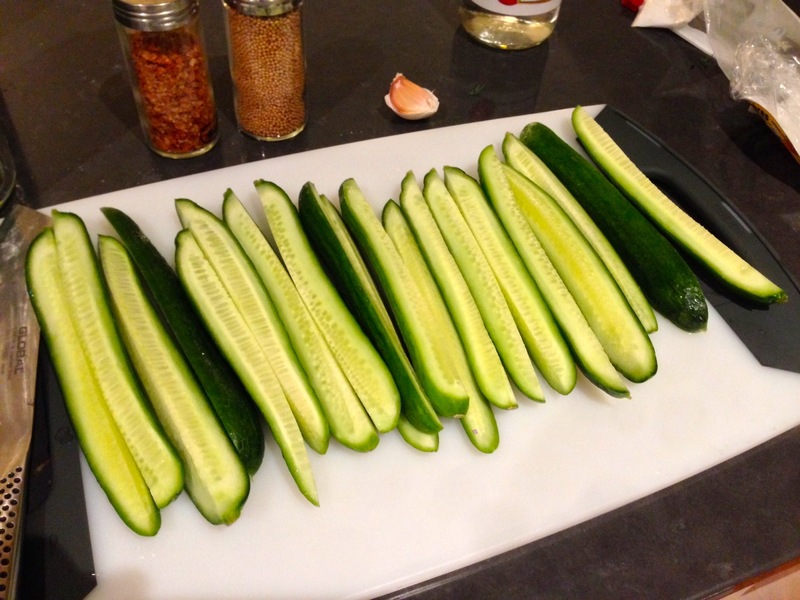 You prefer cubes over spears or whole cucumbers? Easy. Just adapt the recipe to your liking. This is probably one of the easiest things out there to make. I surprise myself every time I do it. There’s very little mess involved and prep time is super quick. 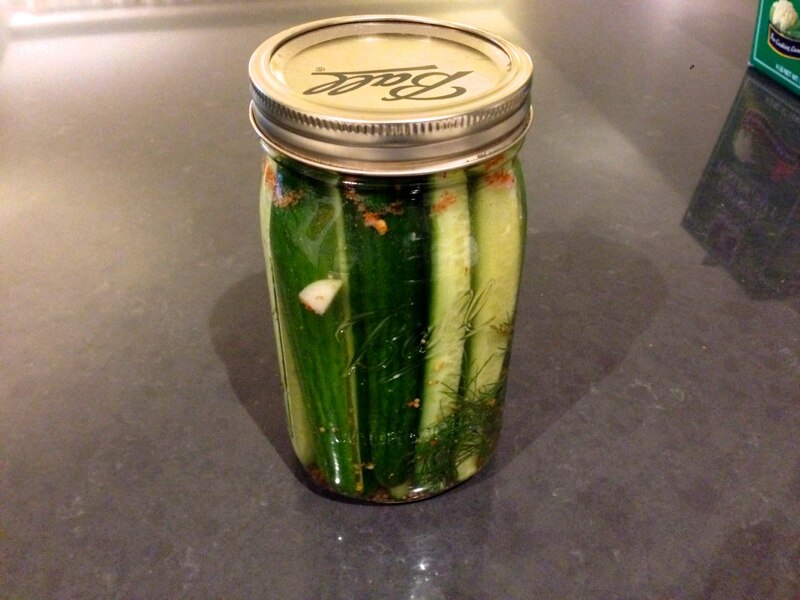 Before you know it you have a delicious jar of your very own homemade pickles. 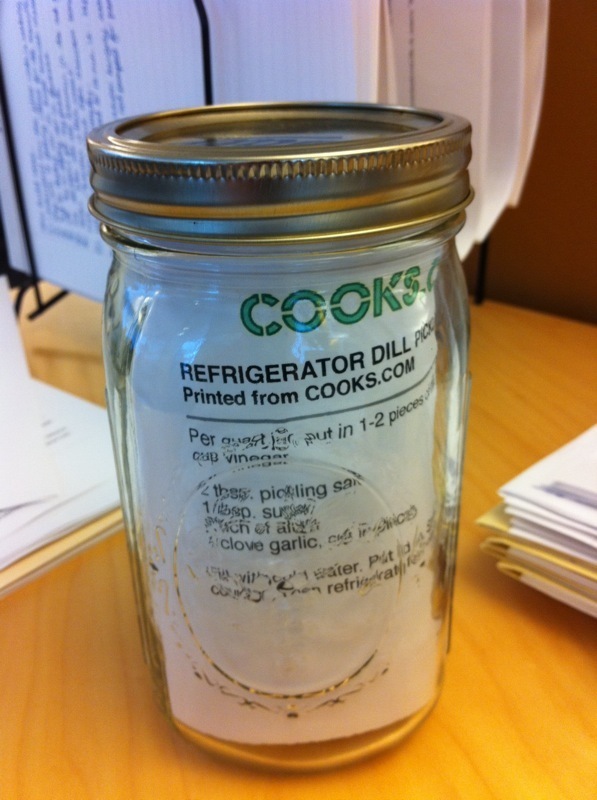 Clean and dry a 1 quart jar and get your ingredients ready. 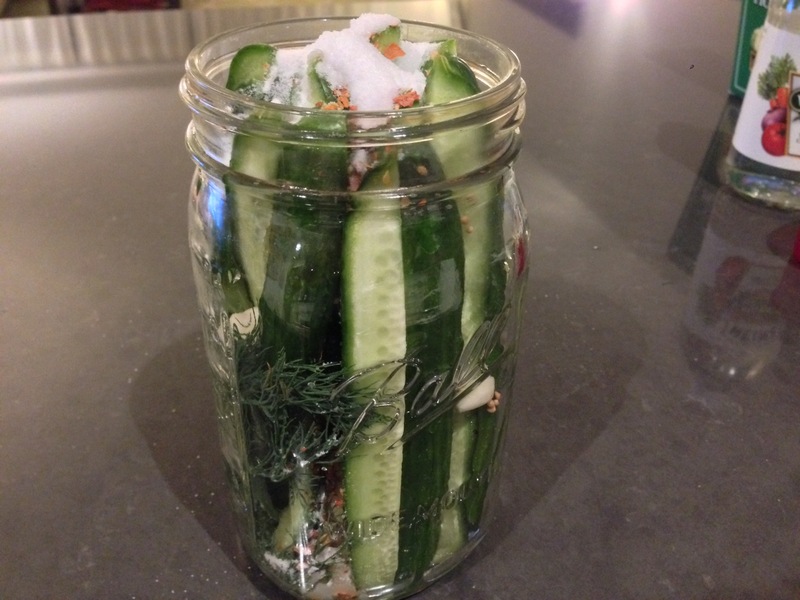 Slice up your cucumbers into spears and put into the jar with the dill. Leave on the counter for a day. The cover photo is what they look like after sitting out for a day. Look at the difference in color in just one day. Refrigerate for two more days. 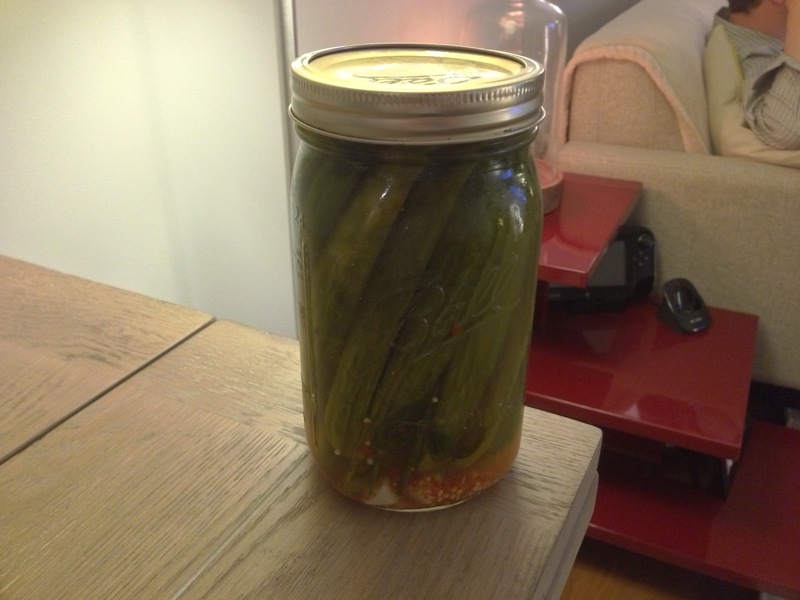 Here are the pickles after a day of being in the fridge. One more day to go! And that’s it! 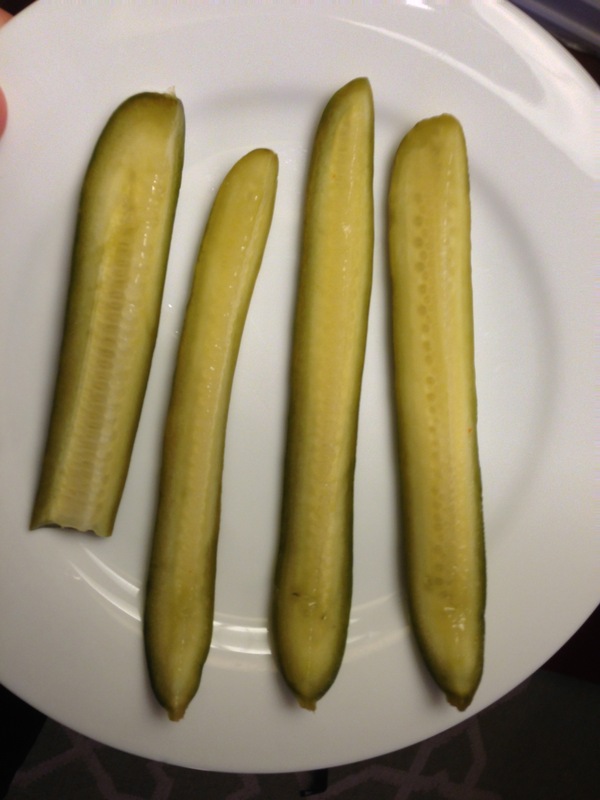 Enjoy your delicious pickles. 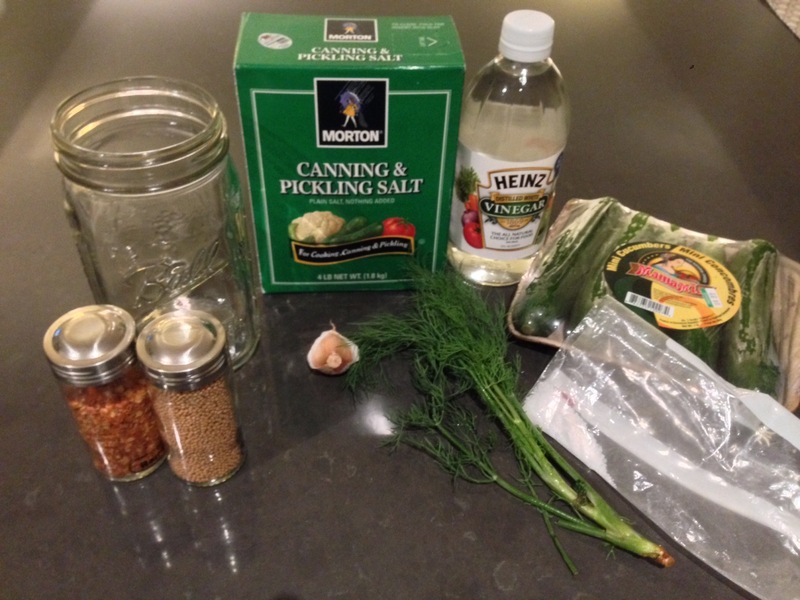 2 tablespoons pickling salt. You can get in many grocery stores and online. Pinch of Alum. You can get it online. Put the dill in the jar. 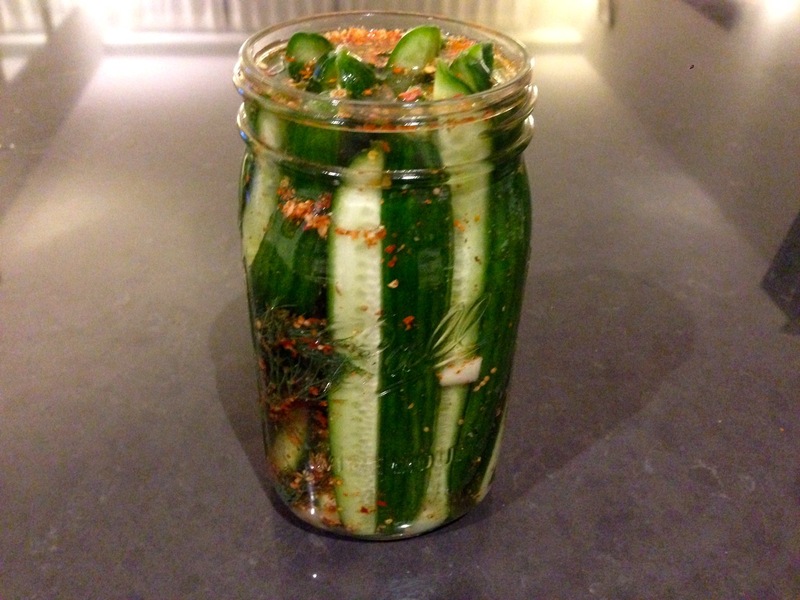 Add cucumber spears to the jar. It will be a tight squeeze but they will fit eventually. Kind of like a jigsaw puzzle. Add pickling salt, sugar, mustard seeds, pepper flakes and alum. Fill jar up with cold water. Seal the jar and shake shake shake. Leave on counter for 24 hours. Then leave in fridge for 48 hours. Howling do these keep for? Hi J, I’m no expert on this but I’m pretty sure you could keep them in there for at least 1 month but probably even longer. Enjoy!